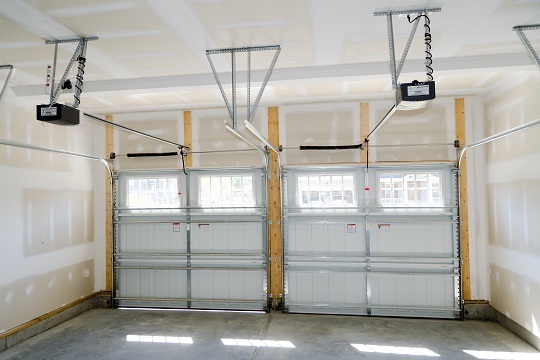 If you are rebuilding or installing a new garage door for your home, one decision you may face during the process is whether to use extension springs or torsion springs for the garage door system. These are the most common springs you could choose from, and they both provide great features and benefits. This article will help you distinguish the differences of extension springs vs torsion springs. Extension springs are the most widely used of the two, while torsion springs tend to be of a more elaborate, sophisticated design of growing popularity. There are different types of springs within each category. For example, the different types of torsion springs include: standard, EZ-set, Wayne Dalton TorqueMaster, standard commercial, steel rolling door, and one-piece curtain door torsion springs. Extension springs can be sectional garage door or one-piece garage door extension springs. In general, extension springs get their name because of their function of stretching, or “extending” when force is applied to them. They are usually installed on the sides of the garage door and attached to the door’s swing arms. The more force that is applied, the farther the spring will extend. Extension springs usually span between 5,000 and 10,000 lifts. Torsion springs, on the other hand, are a function of “torque.” Therefore, when pressure is applied, the springs twist and coil. Torsion springs can be found at the upper section of the door, mounted to the header of the door. They are usually much stronger, and thus more expensive, than the extension springs, and retain a longer life of 15,000 to 20,000 lifts. If you are looking for a garage door professional to help you with your project, try using TalkLocal to locate one near you. TalkLocal is a free service that will connect you with top-quality, reputable professionals in your neighborhood, within minutes. Simply enter in your specific problem, location, and availability, and TalkLcoal will contact multiple companies, who will then call YOU directly, ready to help. If you have ever experienced the break down of a large appliance in your home, you know it can be quite a stressful event. Problems with a garage door or its opener are no exception. Faced with this type of crisis, it is easy to lose your head and make hasty repair decisions. However, the process of finding a good company to meet your needs should not be done too quickly. There are a few important things to remember when choosing a quality garage door repair service. First, you will want to do some background research on repair companies. Research does not simply mean looking around for the lowest prices, either – talk to your family and friends for recommendations or search online for reputable reviews. Although not always sure indicators, some qualities to look for may be that they are locally-owned, have been in business for some time, and hold memberships with quality business agencies (i.e. Better Business Bureau). Once you have chosen a company you feel confident in, it is still important to be aware of what your repairmen are doing. Be careful of being the victim of upselling (companies selling you things you do not need). This can be especially risky in an industry like garage door repair, for consumers likely know little about the services being provided. You obviously cannot know everything about your problem, but some preliminary research for rough estimates may be helpful. Requesting to see a price book and some information on the parts and services you are paying for is a good idea, as well. No reputable company will refuse you this opportunity, and the best will carry these materials at all times. If you take a quick look at the products you will be receiving, you know exactly what you are paying for. It is absolutely acceptable for a repair company to make a profit, but you have the right to know how much this is. While scrutiny is important in selection, remember that not all businesses are out to swindle you. There are many honorable garage door repair companies out there, so simply use these tips to locate the ones near you. Use TalkLocal to quickly search for quality repairmen in your area! While garage door windows are great decorative additions to your home, they have the potential to break and pose a danger to anyone using the garage. If your garage door windows ever break, you need to replace it as soon as possible since broken glass can drop from above when the garage door is open. Use this guide to learn how to replace a garage door window. 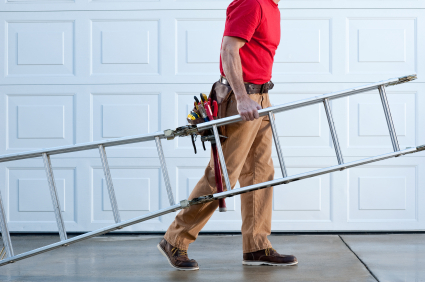 You’ll first want to disconnect all power from the garage door opener, unplugging it and disconnecting the opener from the power supply. You’ll also want to remove any loose glass from the window from the top down. Inspect the inside of the window frame for any screws or snap-over retainers that are securing the frame to the door. This will differ based on whether you have an insulated or uninsulated garage door. You’ll need someone to help hold the frame from the outside while you remove the screws/retainers with either a Phillips head or a flathead screwdriver. At this point, you’ll want to take measurements for a replacement window that you can usually order from any glass supplier. Refer to your garage door manual or manufacturer for the specifics regarding the window material. Clear out any excess glass that was left in the window (you can even remove it from the door if that makes it easier). Replace the frame into the window and place the glass into the window frame and secure it as necessary. If you have snap-over retainers, use a rubber mallet to reinstall the retainers on the frame. Remember to tap the mallet gently so you don’t damage the window or frame again. While this may seem like a simple task, removing the frame and finding the correct type of glass may be extremely time-consuming, so you may want to consider finding a garage door professional to do the replacement for you. Consider using TalkLocal to make the search process go by in a flash! You’ll be talking to a local high-quality garage door service company in just minutes! During the winter, you’ll always be looking for ways to cut down on your heating costs and better weather-proof your home. One of the best ways to retain heat and lower your heating bill is to insulate your garage door since it’s one of the most exposed parts of your house. Another way is to buy a pre-made garage door insulation kits. In the off-chance that you can’t find a insulation kit, you can actually do it yourself with foam core and tape. Read on to learn more about how to insulate a garage door. 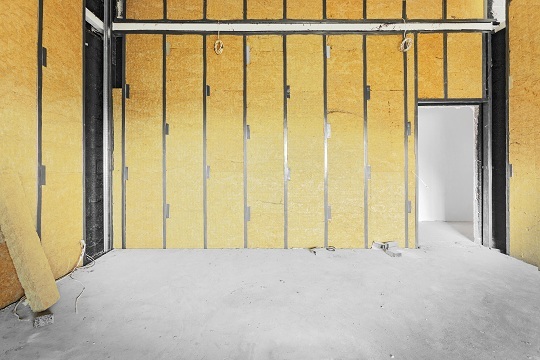 Most of the time, you’ll be choosing between two types of foam: reflective foil insulation or molded polystyrene panels. The reflective foam contains two layers of polyethylene foam covered by aluminum foil and is usually cheaper than the alternative. The polystrene has a higher R value which means it is a better insulator, but you’ll be paying more for it. Choose based on your price point and what you’re willing to spend. To install your foam, all you need to do it to cut it down to the size of a garage door panel using a straightedge and a utility knife. Then use double-sided tape or aluminum foil tape to secure it. Depending on how much insulation you’re adding to your garage door, you may need to rebalance your garage door tension springs. Unless you’re familiar with garage door openers and mechanisms, this job is best left to a professional. Over time, it’s possible that the weatherproofing along the bottom of the garage door has cracked or split, making it less effective. If that’s the case, you’ll want to replace the rubber along the bottom to ensure that the garage door creates an effective seal against the outside elements. Once again, unless you really know what you’re doing with the garage door, please leave the work to a professional. If you don’t want to deal with finding a local professional, TalkLocal can help you! TalkLocal will find you a high quality garage door professional in just minutes and you’ll be talking to them in no time! Your garage door may endure quite a bit of wear and tear throughout its lifetime. Fortunately with some DIY spirit, you can replace the damaged garage door panels yourself and extend your garage door’s lifespan. This is most likely a project you’ll want some help with, as the panels may be rather large and unwieldy. Otherwise, replacing garage door panels is fairly straightforward. Each garage door will have different sized panels so make sure you first contact your garage door manufacturer to order the correct style of panels. At this point, you may also want to consider replacing the entire garage door, especially if there’s actual functional damage to the rails or extreme cosmetic blemishes. You will want to raise the garage door and disconnect the power to the automatic garage door opener. You will be able to loosen the turnbuckles and tension springs that hold the panels in place; be careful here as the tension springs have quite a bit of stress on them. Unscrew the hinge from each side of the panel that you need to remove until all the damaged panels are removed. You should now be able to slide in each new garage door panel. You will need to insert them into the top of the garage door track and then attach them once they are positioned correctly. Then, you need to reconnect the hinges and the turnbuckles/springs you removed earlier. Your garage door now should be looking like new! Depending on the color of your garage door, you may want to prime and paint it to match the other panels. If you’re looking for more help or just want to talk to an expert, TalkLocal can connect you to a garage door repair expert in just minutes! Garage door torsion springs are the mechanisms responsible for lifting your garage door when you click the button to open your door. These springs store and release energy and hold the garage doors in place. They are also used in clothespins and clipboards. There are a few different types of garage door torsion springs. These are found most commonly on residential garage doors and are mounted above the opening of the garage door. A shaft that runs through the middle of the springs supports the spring. 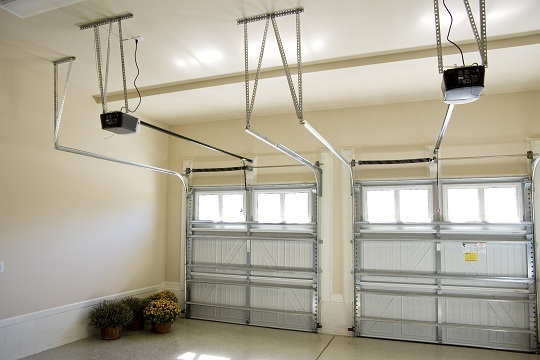 Generally garage doors use one spring for lighter doors and two for heavier ones. These springs are fairly similar to the standard types, but they are mounted in the center of the torsion shaft. The hardware used to install these springs is also different, and the springs are mounted on each end of the torsion shaft next to the cable drums. Extension springs are fairly common and are installed parallel to the garage door tracks on either side. These springs wrap around the pulleys and attach to an eyebolt (a type of screw) that is mounted on the track. These springs are more commonly used in commercial buildings and are the ones that have the torsion spring located within the torsion barrel to support the rolling door. These springs are commonly found used on storage units. The curtain door springs are attached to either side of the torsion rod to hold the weight of the door, meaning there are two springs. This is the safest of garage door torsion springs. These springs enclose on the inside of the torsion shaft and are held in place using a winding cone that is at each end of the torsion rod. However, these springs only wind by use of a power drill rather than the traditional winding bar. Knowledge of the different types of torsion springs may be useful, but fixing a garage door is a whole different story. If you need assistance with fixing your garage door, consider using TalkLocal to find a garage door maintenance company for you. TalkLocal is a free service that will connect you with top-quality, garage door maintenance companies in your neighborhood within minutes. Just enter in your specific problem, location and availability, and up to three companies will call YOU directly, saving you the time and stress of finding one yourself. There are many problems that could cause your garage door not to open. Read below for some of the most common issues and solutions if your garage door will not open. First, check that you operator is plugged in. If it is, check that there is power supplied to the outlet by plugging something else into the outlet. Next, check that the photo eye detectors are lined up. These will be on both sides of the garage door; they keep garage doors from closing when an object is in the way. You can loosen or tighten the wing nuts on the sensors until they align. The detectors may be disrupted if they are dirty or if there is something in front of them. You can try cleaning the eyes of the detectors with a tissue. It is also possible that the eyes got wet and are now damaged. Next, check the batteries on your remote. Remotes will usually last longer than batteries. If changing the batteries doesn’t work, you can also try reprogramming your remote. Try the emergency release handle in the middle of your garage. If you can manually open the garage door, then that means the problem is an electrical issue with either the motor or remote. If you have checked all of these things and none of them seem to be the problem, you may need to contact a professional to figure out the problem with your garage door and help you to fix it. If you notice that your torsion spring is broken or the cables have snapped, you should also contact a professional and not try to fix it yourself, as fixing these things can be dangerous if you do not know what you are doing. With the help of TalkLocal, you can be on the phone with up to three high quality professionals within minutes. All three businesses will be in your area and they will be available when you are. A garage auto lift is a device that elevates a vehicle inside a garage. They can open up a lot of space to be used for storage. There are various types of garage car lifts to choose from. Depending on your situation, different auto lifts will be better than others for you. Why would you use a garage auto lift? 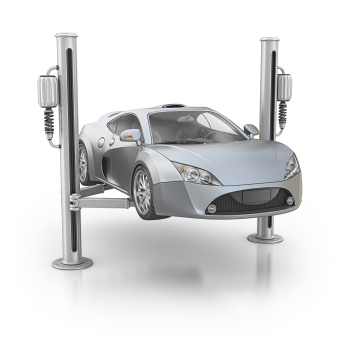 Auto lifts are typically used for cars that are not driven very frequently. For example, if you have a car that is being worked on, it may be time to store the car until you can resume work. In addition, many sports cars or luxury cars are only driven during certain seasons, so the rest of the year it is more efficient to store the car out of the way and avoid paying someone else for garage space. In addition, boats, ATVs, motorcycles, and snowmobiles can also be stored with the proper equipment. Freestanding garage auto lifts come in different shapes and sizes. Typically, they are sold as either a 7000-pound limit or as a 9000-pound limit. The 7000-pound limit lifts are typically used for sports cars and ATVs, whereas the 9000-pound lifts are used for larger vehicles such as trucks. In addition to four-post lifts, there are also two-post lifts. Along with creating storage space, lifts can be used when you want to elevate your vehicle to do repair work, such as changing the oil. These lifts are much less expensive than the storage lifts. They are very handy tools to have around your home. While it may be an upfront cost toward your car, doing repairs on your own can save you a lot of money compared to taking your car to the shop. Whether you need auto advice or want some manual help, check out TalkLocal. You will be connected for free to a professional right in your neighborhood! Your car troubles will be solved! Garage doors provide safety and security and are used to seal the entryway to our cars, tools and home. There are many different garage door types. Read below to find out more. 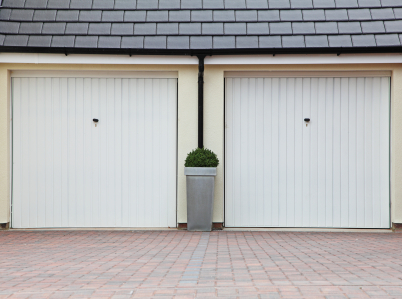 Roller garage doors have become increasingly popular over the years. As the name implies, the garage door rolls up into the ceiling section where it rests. One of their key features is the fact that you can stay in your car while the door opens or closes. A remote control is able to open and close the door from a certain distance away from the sensor found within the garage door. Similar to roller garage doors, some sectional garage doors allow you the ease of staying in your car while the door opens and closes. Many times this type of garage door has a keypad that is located near the exit to operate the door. The sectional garage doors are usually broken up into 4 sections that bend as the door is raised into its resting place. Up and over garage doors, and swing hung garage doors take up a considerable amount of space when they are being operated. The door extends out into the driveway before being brought up to its resting position, which is parallel with the ceiling. These types of doors are not recommended for short driveways or driveways with little space. 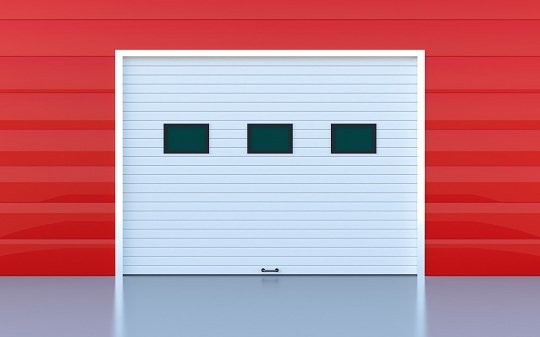 The most common materials that garage doors are made of include steel, wood, and vinyl. 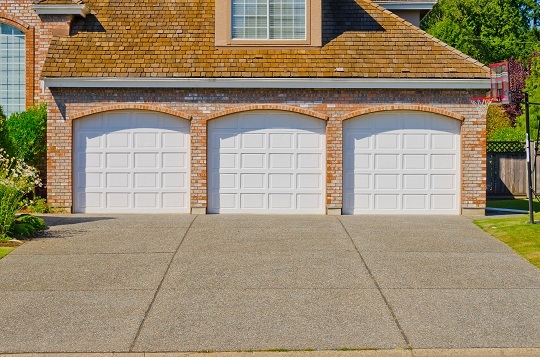 If you have a garage door, it is more than likely that you have one of these three types of garage doors. If you would like to have more information about garage doors or need help with your garage door, check out TalkLocal. It is a free service that will connect you directly to professionals right in your neighborhood! 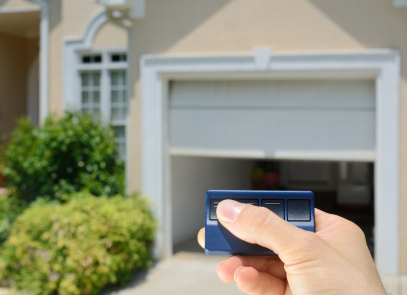 Having a portable garage door opener is very convenient. You can program numerous openers to one garage so that all of your cars have the ability to pull up and roll right in to an opened garage. However, setting up garage door openers is not as simple. But don’t fret, the process is not as daunting as it may seem. The only two things you will need is your overhead unit, a ladder to reach it, and the opening remote. Learn how to set up a garage door opener by first reading your garage door overhead unit manual to make sure you buy a remote opener that is compatible with it. The first thing you do is examine the main overhead unit on your garage door mechanics. You need to find the “learn” or “learn code” on the device. It is a button that can be found on the side or bottom of the unit depending on the model of your garage door. Make sure to have your remote in hand at this point (you will need it soon). Now, you need to press and release the button on the overhead unit. You should look for a flashing light indicator or listen for a beep to confirm that the garage door overhead unit has entered the programming mode. Once you decide which remote control button you want to control this specific garage door, you should press and release that button within 30 seconds of pressing the “learn” button on the overhead unit. Wait for the LED indicator or listen for a beep from the garage door opener remote to confirm that it has been programmed. That is all you have to do to program your garage door opener. If you have problems programming your garage door remote, you should seek professional help. Use TalkLocal to be put in contact with reliable local businesses within minutes. You don’t have to do any work! Simply input your problem and availability and TalkLocal will do the rest. Almost immediately you will be connected with someone who can help you out on the phone.